• Short session highlighting 5 company case studies through a combination of interview, expert panel and Q&A from the audience. www.sci-techdaresbury.com/contact. Visitor parking is available on-site and attendees will be notified of where to park before the event. This will provide an overview of a range of laboratory and workshop facilities at Sci-Tech Daresbury, along with a range of analytical and rapid prototyping equipment that can be accessed. This will provide an overview of the high performance computing, data analytics, AI and VR/AR facilities that are located at Sci-Tech Daresbury. Power Solutions are a key careers and employability partner for the University of Chester. They are also a key internship host and have provided opportunities for four students through the Chester Internship Programme. Pivotal to this success is the way in which Power Solutions empower students through responsibility and ensuring students take ownerships for their projects from day one. Power Solutions are a growing company and have provided excellent project work environments for students to be able to experience a small company on an exponential growth track. The company also work closely with English Literature students and run an annual marketing content writing competition to give English students opportunities to experience real-world publishing. 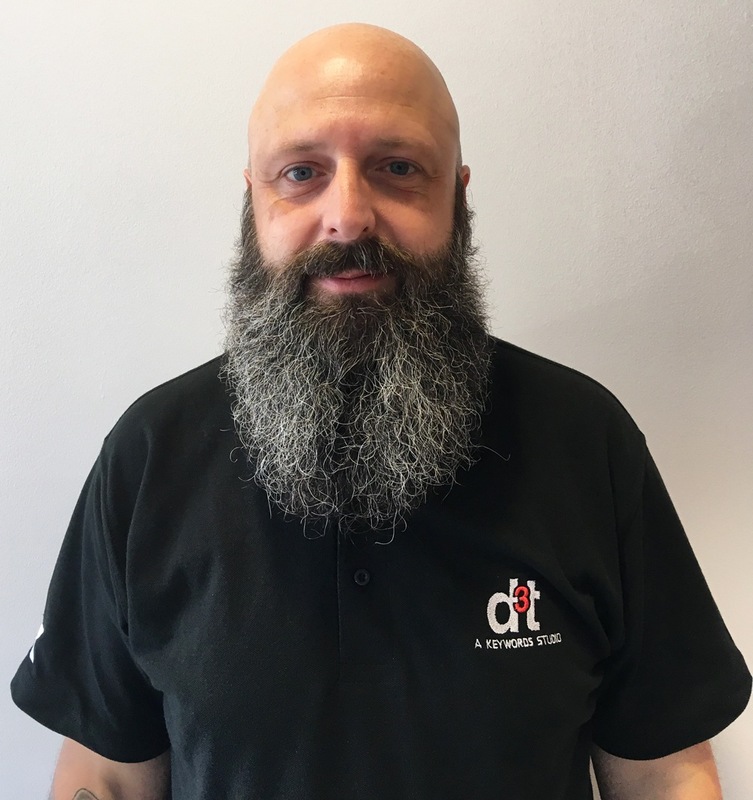 After gaining an Engineering degree at the University of Salford, Phil moved into the gaming sector with Digital Image Design. He has worked across a number of companies over 20 years including Warthog, Gizmondo, Rage Games, Juice Games and TT Fusion. He joined d3t in 2014 as their Head of Engineering. d3t Ltd is an award-winning, premium software engineering company based in Runcorn and is part of the Keywords Group.As an external development partner, it provides work-for-hire services to the technology sector, adding value to clients' games and interactive experiences. d3t have worked with a number of unviersities including the unviersity of Manchester to recruit graduate computer scientists into their growing team at d3t. Inspired by a passion for the outdoors and outdoor living Long Valley Yurts was set up with just two 18ft Yurts at Great Langdale, Cumbria. Ten years and they continue to with the National Trust at Great Langdale and have expanded to offer Yurt holidays at more locations in the Lake District and the Peak District. Director John Maddy says the Degree Apprentice model of delivery enables them to grow the business in the way they want to and Tommy claims he gets a deeper understanding into the way businesses work, a win for all. Co-founded by Phil Speed, CEO, and Professor Rob Young, Chief Scientific Officer and Royal Society Research Fellow, Quantum Base Ltd is based in Info Lab 21 at Lancaster University, which is also a research partner and funder. Quantum Base is also backed financially by The Royal Society, GCHQ, and the U.S. Air Force, and is published in leading scientific journals, such as Nature. They have invented, developed and patented a portfolio of unbreakable nanoscale quantum security devices – Quantum IDs or Q-IDs-that are simple, scalable, small and cheap. Their patented product range is driven from their development of the world’s first nanoscale quantum physically unclonable functions (PUF’s), both Optical (OPUF) and Electronic (EPUF) versions, and our simple quantum random number generator (QRNG). They have a further six products in patent pending, founded on their scientific research in quantum physics. Ed-tech startup, Steam School, is inspiring UK students to pursue a career in STEAM through the development of a new innovative mobile app. Launched in 2018, Steam School uses the power of technology to introduce global innovators to schools across the UK. They host weekly video podcasts with role models from across the world of science, tech and digital media. The hour-long broadcasts will see young innovators and guests draw on real-life experience to teach students about the importance of digital skills in the technology sector. Through LJMU’s LCR Activate programme, Steam School have been granted funding to develop a smartphone app to host the video podcast series. The app, which is set to launch in January 2019, will enable students to watch and interact in any location, as well as catch up with previous episodes on the go. The funding will also help the start-up carry out data-driven marketing, analyzing the data patterns on its website to engage education school leaders and raise awareness of the programme.